Sani Dimitroulopoulou is Senior Environmental Scientist within Air Pollution and Climate Change Group at Public Health England. She is a Member of the Scientific Secretariat for COMEAP (Committee on the Medical Effects of Air Pollutants). Her research interests are focussed on modelling and monitoring of indoor and outdoor air pollution, ventilation and population exposure. She has over twenty year experience developed through her work at Imperial College and BRE in the UK and the National Centre for Environment and Sustainable Development as well as the University of West Macedonia, in Greece. 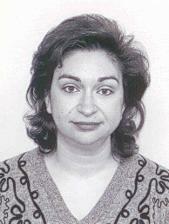 She has undertaken research and consulting projects for the UK and Greek Governments, EU and private clients. Sani is a long-standing Member of the UKIEG as well as Member of the MESAEP Committee (Mediterranean Scientific Association of Environmental Protection). 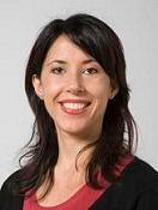 Marcella is a Senior Lecturer in Environmental and Healthy Buildings at the UCL Institute for Environmental Design and Engineering, at the Bartlett Faculty of the Built Environment, University College London. She is an architect with specialist research interests in facility and environment management, air quality and health within buildings, occupant behaviour and energy efficiency. Gráinne is a Researcher at the Mackintosh Environmental Architecture Research Unit (MEARU), Glasgow School of Art. She is a lecturer and module coordinator for the recently introduced MSc in Environmental Architecture. Gráinne’s research interests include: i) unintended consequences of climate change mitigation, ii) low carbon design and evaluation post occupancy, iii) the impact of indoor environmental quality (particularly indoor air quality) on building users physical and psychological health, and iv) the role of architecture in design for optimum indoor air quality. Her doctoral thesis examined the impact of energy efficient design strategies on indoor air quality, focusing particularly on new-build airtight UK social housing. Paul is the Director of PTCH Consultancy Limited and IEH Consulting Limited, and former Visiting Professor at Cranfield University, having previously been Director of the Institute of Environment and Health. He is a toxicologist with specialist interest in indoor air pollution. He is co-founder of the UKIEG. 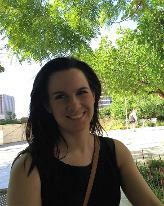 A long-standing member of the UKIEG and previously UKIEG Secretary, Isabella Myers is an independent consultant with over 20 years experience on the health effects associated with environmental hazards in the indoor and outdoor environment. Previously, she was a member of the Public Health England Toxicology Unit at Imperial College, where she was primarily responsible for supporting the Air Pollution and Climate Change Group at Public Health England. This included being a scientific member of the Secretariat for the Committee on the Medical Effects of Air Pollutants (COMEAP) and leading the work programme on carbon monoxide. She is Chairman of the All Fuels Forum Medical and Healthcare Professionals Sub-Group, a member of the All Fuel Forum Advisory Board and Forum, Associate of IEH Consulting and a member of the British Toxicology Society. Derek is founder of the MSc Intelligent Buildings Course at the University of Reading where he has developed a portfolio of projects including sustainability, building facades, system reliability, building rating methodology and design quality in schools and the effects of this on students’ learning. He is a visiting professor at several universities in China and acts as an external PhD examiner nationally and internationally. Derek was Vice-President of CIBSE and has also sat on a Panel on the Dynamics of Ageing for the Economics and Social Sciences Research Council. He is a member of the Board of the British Council of Offices. He is also a member of the UK Green Building Council. Chuck is the Executive Director and President of the International Society of the Built Environment (ISBE) and the Editor-in-Chief of the SCI journal, Indoor and Built Environment. He is a distinguished overseas professor, appointed by the Ministry of Education, China to collaborate with work at the School of Human Settlements and Civil Engineering of Xi’an Jiaotong University, where he was conferred with the honour of being an Honorary Professor at the university. Chuck is also a Visiting Professor at Tsinghua University and a Quest Professor at Chongqing University, China. Jon Bootland is Director of the Sustainable Development Foundation (SDF), which focuses on building clients and funders, with current programmes including the Sustainable Traditional Buildings Alliance (STBA), Alliance for Sustainable Building Products (ASBP), and SHINE - the leaders' network for sustainable buildings. It also supports the work of the Good Homes Alliance and the Passivhouse Trust. Jon was previously Associate Director at CIRIA and Director of regeneration and policy at the Prince's Foundation. He is also an Associate at Forum for the Future. Clive is an Environmental Public Health Scientist within the Air Pollution and Climate Change Group at Public Health England. He supports the objectives of PHE's programme of work in support of national and local government to reduce the health effect of air pollution, providing expert advice on human health effects of indoor and outdoor air pollution and the health impacts of interventions aiming to improve air quality. He is an Honorary Senior Research Associate (Environmental and Healthy Buildings) at University College London. 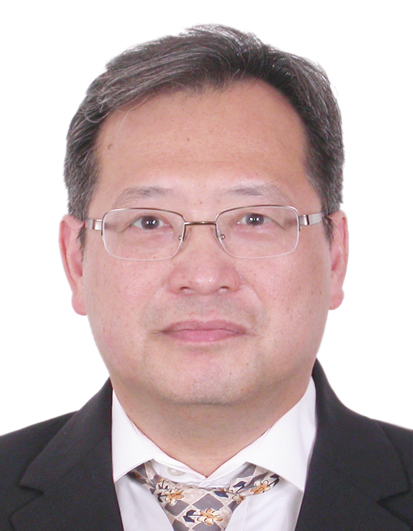 He is Assistant Editor of Indoor and Built Environment, a peer-reviewed scientific journal, and has a wide range of industrial and professional management expertise gained within the construction sector primarily involving project management and the application of specialist material science and associated technologies. 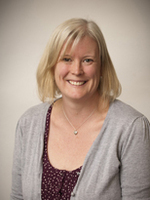 Cath Noakes is Professor of Environmental Engineering for Buildings and Director of Researrch for the School of Civil Engineering, University of Leeds. Her research interests lie in the development and application of mathematical models for environmental fluid flow problems, with a strong focus on modelling the transmission and control of airborne infection in healthcare environments. Recent studies have involved a range of techniques including CFD analysis to model the spread of airborne pathogens and the effectiveness of control devices, and the development of epidemic models that incorporate the influence of the physical environment and the behaviour of people. Prof Paul Wilkinson is Professor in Environmental Epidemiology at the Department of Social and environmental Health Research, within the London School of Hygiene and Tropical Medicine. His main research interests are the health impacts of climate change and environmental pollution, and the influence of the built environment on health. 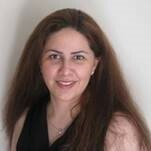 Dr Azadeh Montazami is a Research Fellow at Centre of Low Impact Buildings within Coventry University. She is trained as an architect with research interests in comfort factors within the learning environment with a focus on thermal comfort in primary school classrooms. Dzhordzhio is a doctoral researcher at UCL Institute for Environmental Design and Engineering and Director of Consultergy®. His research focuses on volatile organic compound (VOC) emissions from insulation materials and their interrelationship with ventilation strategies, energy, and indoor air quality. He examines ways of how retrofit and new build dwellings could be improved to increase their indoor environmental performance. In his professional work, Dzhordzhio has focused on delivering low-carbon healthy buildings and has project management the energy & sustainability strategies for over 70 domestic and commercial developments within the UK. He is an accredited Passive House Designer, Low Carbon Consultant, Domestic and Non-Domestic Energy Assessor.